Homes sales in the Lynchburg region slowed in June, down from 311 sales in May to 295. 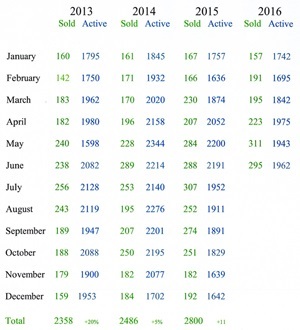 The number of listings slightly increased, from 1943 in May to 1962 in June. * Negative equity data is from 2016Q1.